File-sharing software developer BitTorrent has made available an experimental instant messaging client that it hopes will provide users with greater security for their online communications, making them harder to intercept by governments and criminals. BitTorrent Chat runs over an encrypted peer-to-peer network where there is no central control, storage and forwarding server that can be compromised or captured for access to user data. The company said the aim behind BitTorrent Chat was to ensure people's messages stayed under their control, "private, secure and free". BitTorrent Chat is based on Alec Perkins' work using the BitTorrent Sync protocol to develop distributed, secure messaging. The data is encrypted with AES-256 and a secret that is more than twenty bytes in size. 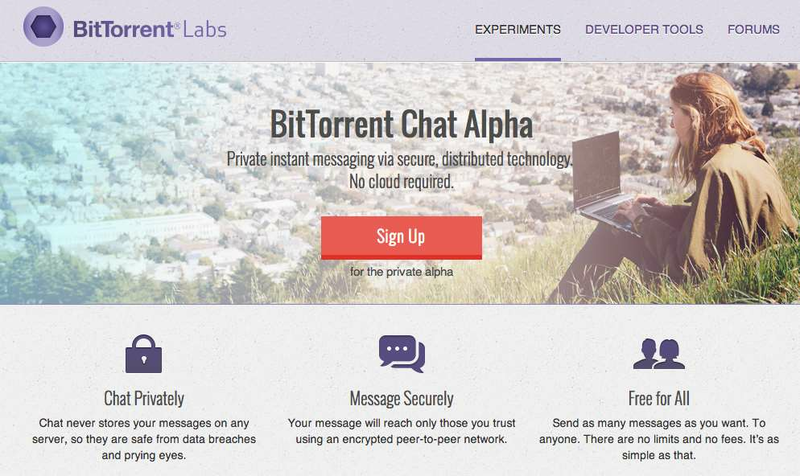 Presently, BitTorrent Chat is in pre-alpha mode and requires an invite to join the trial.